No matter how many times we put the chickens in their coop, we always have a few who decide to make their home in other parts of the barn. It’s not a problem and they are apparently immune to predators so I leave them alone. It’s just funny how chickens do their own thing. 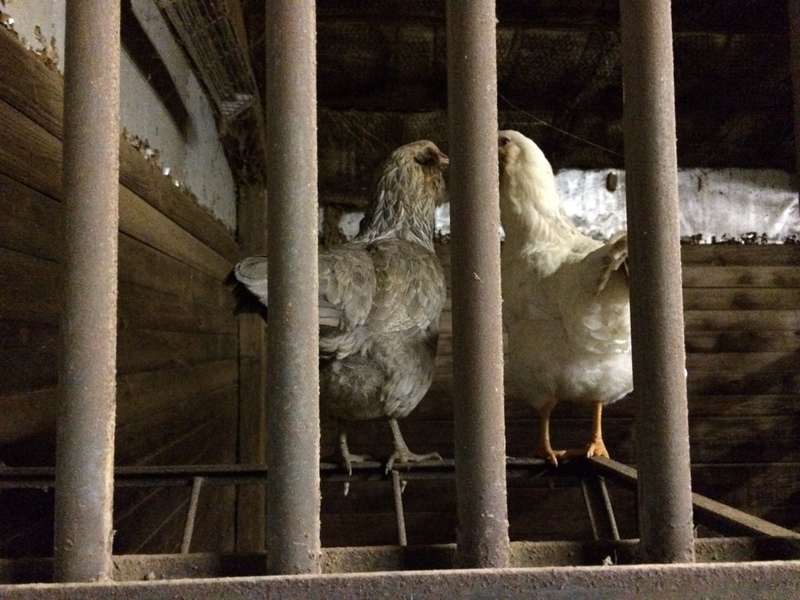 Here are two chickens roosting on a hay rack in an old horse stall. Previous PostPrevious Cheap food and food deserts?